When I think of potential Science and Fantasy Literature candidates, there are a few that are so clearly classics - cornerstones - of the genre. These are books I'm nervous to go into too much depth about in part because they've been done by people much more qualified than myself, but also because it's been so long since I've read them that sometimes the finer details escape me. But the fact that each of these classics managed to completely blow me away is not something I've forgotten. 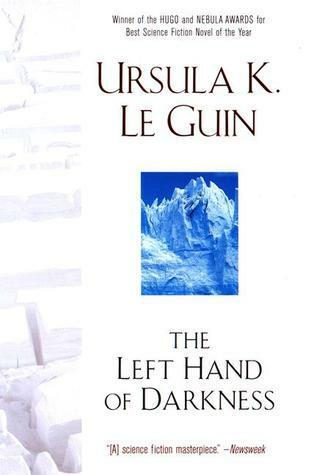 SAFL #8: On the sci-fi end, we've got Ursula K. Le Guin's stupendous The Left Hand of Darkness. This is a book that challenged my typical understanding of sci-fi. A book so wonderfully written, so fully complete and so diverse, The Left Hand of Darkness cannot fail to surprise and enchant readers. Le Guin is an excellent storyteller, creating realistic and interesting characters, raising fascinating social questions and preferring a more subtle, quiet form of writing to the bombastic style that characterizes many pulp sci-fi books. A classic in its genre, and a wonderful work of literature overall. SAFL #9: On the fantasy end, I find myself returning to some of those old-school kids classics. 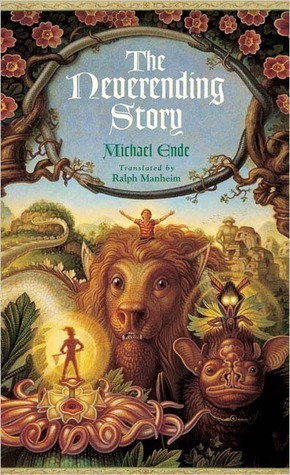 In this case, the book is Michael Ende's wondrous The Neverending Story. The first book I ever properly summarized and reviewed in my then-new review notebook, it was also one of few books that managed to keep its status in my memory years later. A rich, fantastic book, The Neverending Story is as much about the magic of literature and stories as it is about its main characters. This is one I'll often return to in bits and pieces (by opening a random page and reading short passages) and one that will likely never leave my memory for long. A beautiful, magical story. SAFL #10: Finally, we have a book that can certainly be counted as one of the high-water marks of science fiction... but one that I sometimes think blurs the lines between sci-fi and fantasy. Frank Herbert's Dune is intelligent, fascinating and shines in its focus on world-building. While it comes from an earlier age of sci-fi, it never feels trite, instead remaining as interesting and entertaining to readers today as it must have been years ago. 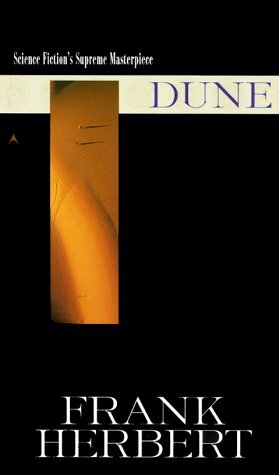 Dune is a book partially marred by disappointing sequels and by its occasionally dry style, but it creates one of the finest worlds in science fiction, strong central characters, and an incredibly well-written, good story.